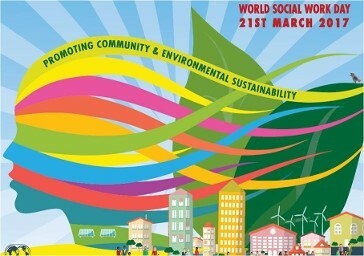 This Tuesday (21 March) was World Social Work Day. There was lots of activity in local authorities and organisations across the country and on Twitter to mark this special day. Here in West Berkshire we celebrated the day with our social workers for adults and for children and families. We marked the day in a range of ways, including with cake (of course!) and tweeting about the work our social workers do and why they are so committed to it. Although I am the statutory DCS and DASS, my official job title is “Corporate Director – Communities”. I take the notion of community seriously, so the focus of this year’s World Social Work Day, Promoting Community and Environmental Sustainability has a particular resonance for me. As well as their direct work with individuals and families, our social workers are engaged in building community. Everyone benefits from a community that cares about and takes responsibility for the wellbeing of its children and vulnerable adults. We help to achieve this through social workers making connections with the community they serve and establishing relationships which will support and sustain them and the people they work with. These relationships matter greatly. As part of our preparation for World Social Work Day, we updated our suite of online videos of children and family social workers talking about the work they do. This new video https://youtu.be/SkU9P6XhhdM, featuring Claire, a long-established social worker in our disabled children’s team, gives a really good idea of what it means to be committed to a place and its people and how that makes a challenging job more rewarding. Stability of the social work workforce is often as important a factor in strengthening children and family services as quality is. Rapid “churn” of social workers is a sure sign of an unhealthy local system and children and their families (or other carers) and our partners consistently tell us that frequent changes of social worker get in the way of achieving good outcomes for children. With all this in mind, the challenge for directors is not merely about recruitment – what will make a social worker want to work in my authority? – but retention – what is it that makes a social worker want to stay? There is no magic formula, but experience suggests that creating a good environment for social work, one where practitioners feel safe and supported, can go a long way to stabilising a sometimes jittery workforce. This week, with World Social Work Day at its heart, is a good week to be asking: what do our social workers need in order to be able to do their work well?